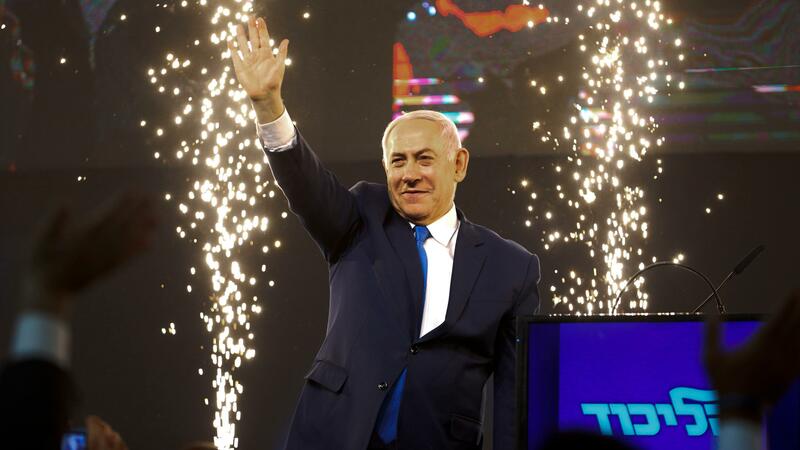 JERUSALEM, April 11 (Xinhua) -- Official results of Israel's elections were published on Thursday night, showing Prime Minister Benjamin Netanyahu's party has beaten the main rival, the Blue and White party. The results were released by the Central Election Committee after two days of counting ballots and delays caused by computer malfunctions, according to the committee chairman, Judge Hanan Melcer. Netanyahu's right-wing Likud party won 36 seats while the centrist Blue and White, led by an ex-army chief, gained 35 seats, the results showed. Netanyahu now needs to form a governing coalition with at least 61 members in Israel's 120-seat parliament, or the Knesset. He already said he intends to build a coalition with right-wing and ultra-Orthodox parties. His likely partners include Shas, with eight seats, and United Torah Judaism, with seven seats, both Jewish ultra-Orthodox parties. The United Right, a new alliance of pro-settler lists and another likely partner in Netanyahu's coalition, gained five seats. Israel Our Home, led by Avigdor Lieberman, a far-right politician and Netanyahu's former defense minister, gained five seats. Kulanu, a center-right party, gained four seats. Overall, the right-wing bloc includes 65 seats. The Labor party, Israel's largest opposition party which had 18 seats in the recent parliament, gained only six seats this time. Meretz, a left-wing party, lost one seat and will enter the parliament with four seats only. Hadash-Ta'al, an alliance of Arab parties, won six seats, and Ra'am-Balad, another Arab party alliance, won four seats. The Blue and White party, Netanyahu's main challenger in the elections, admitted defeat on Wednesday night, vowing to serve as a "fierce opposition" to Netanyahu. The results mean Netanyahu is heading for a record fifth term in office and would become Israel's longest-serving prime minister.